A Dominos Pizza gift card is a gift that any pizza enthusiast loves to receive. A Dominos gift card can be redeemed for pizza, sandwiches, deserts and more. You can try Domino’s Artisan™ Pizza, Stuffed Cheesy Bread, Oven Baked Sandwiches, Parmesan Bread Bites, or Chocolate Lava Crunch Cakes. 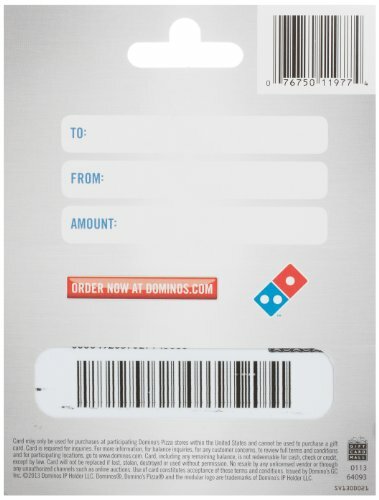 A Dominos Pizza gift card lets you dine in the restaurant or order pizza online to be delivered to your home. Dominos is serious about the quality and taste of your pizza. 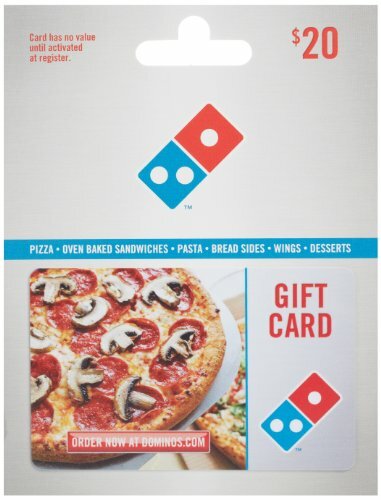 Dominos Pizza gift cards can be sent by mail so treat someone to a Dominos gift card today. To view participating locations, go to www.dominos.com.